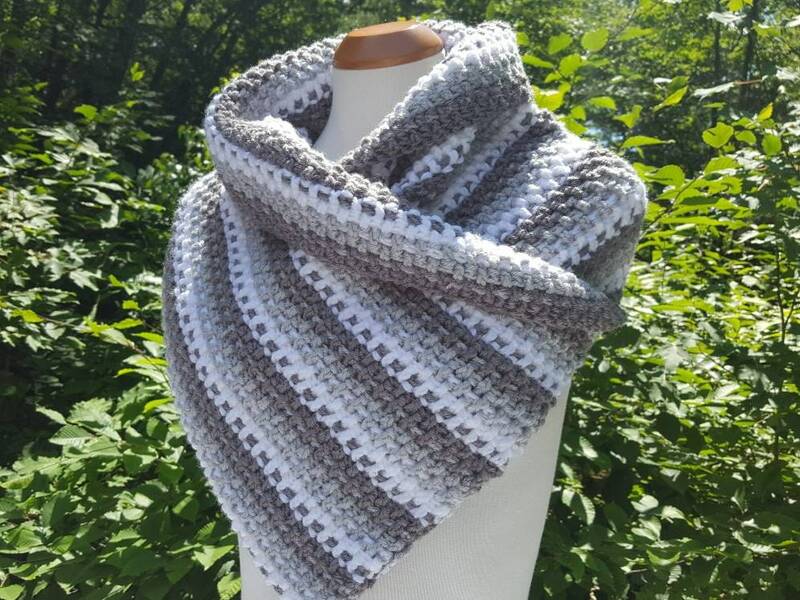 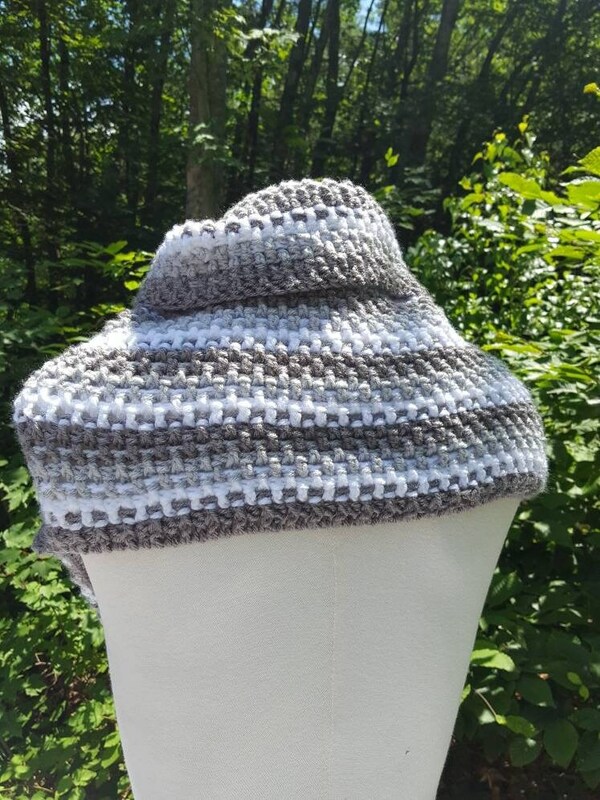 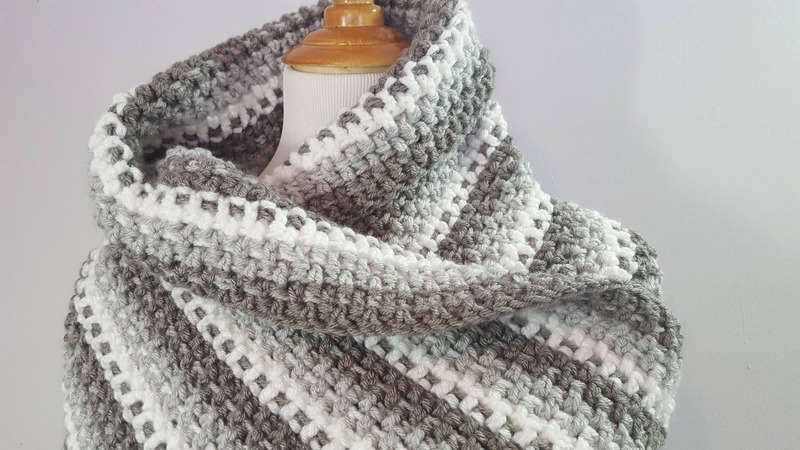 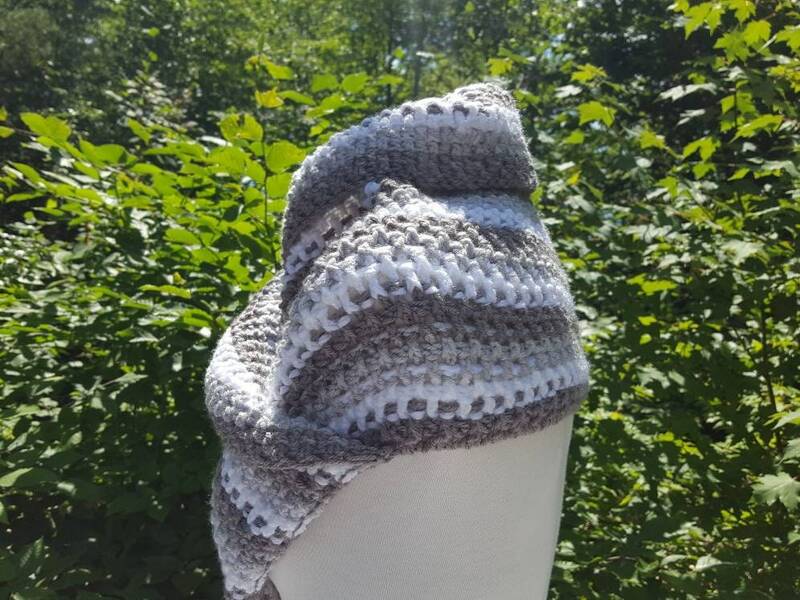 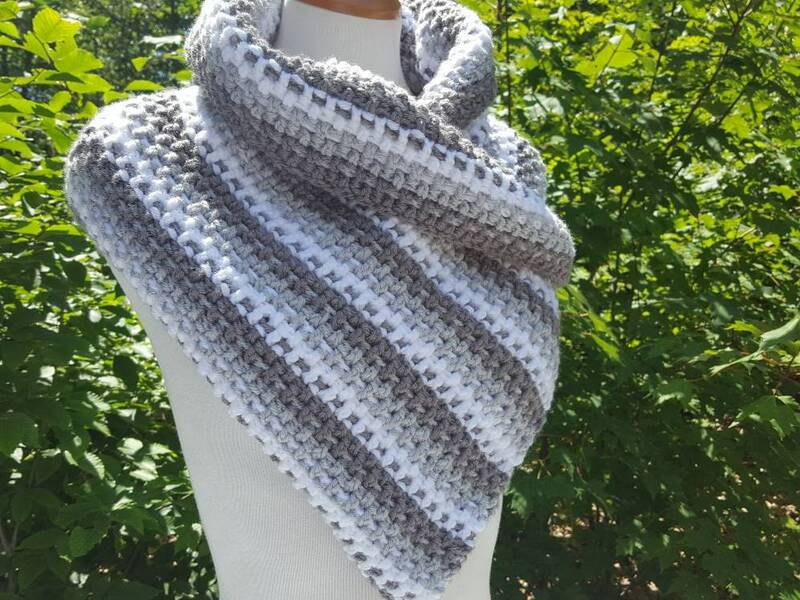 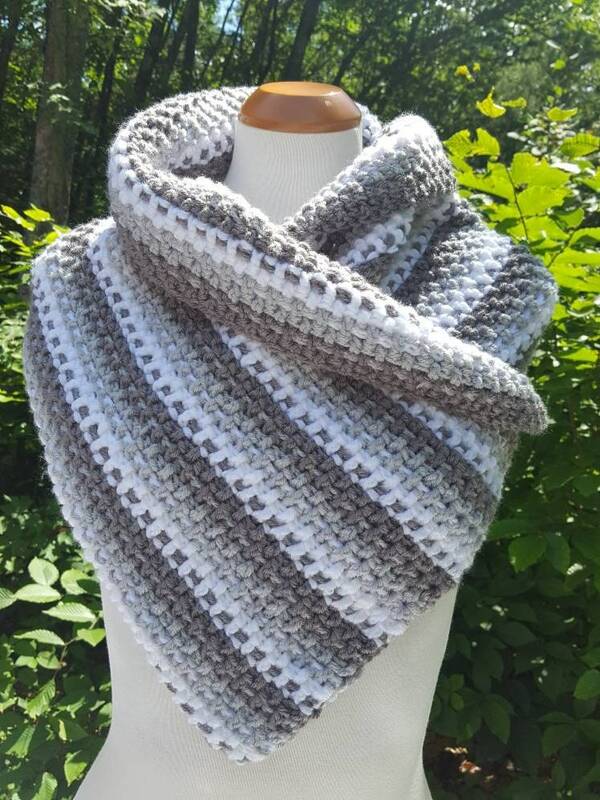 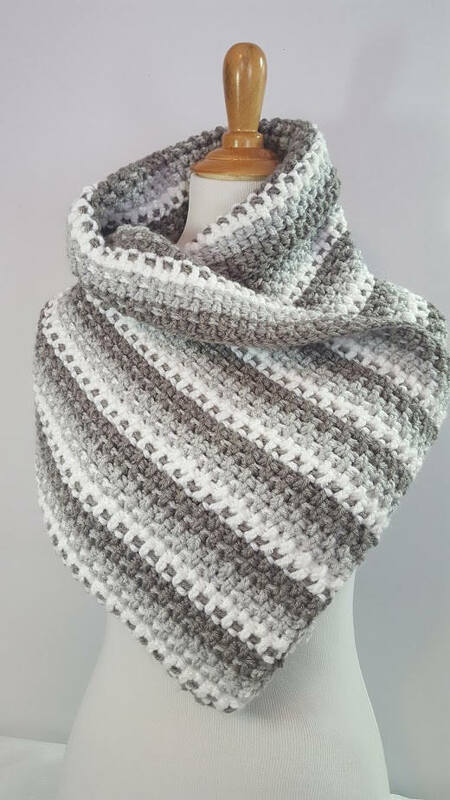 Gorgeous 'sassy' cowl wrap in beautiful shades of grays and white, this hand crocheted neckwarmer is soon to be your go-to this season. 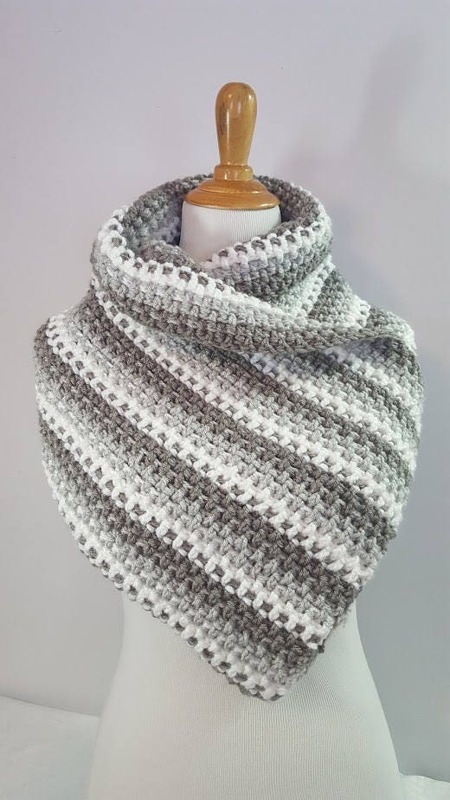 Perfect with a wool black coat, lovely with a white turtleneck and demin jacket, or perhaps go bold with a red boiled wool cape, so many options! 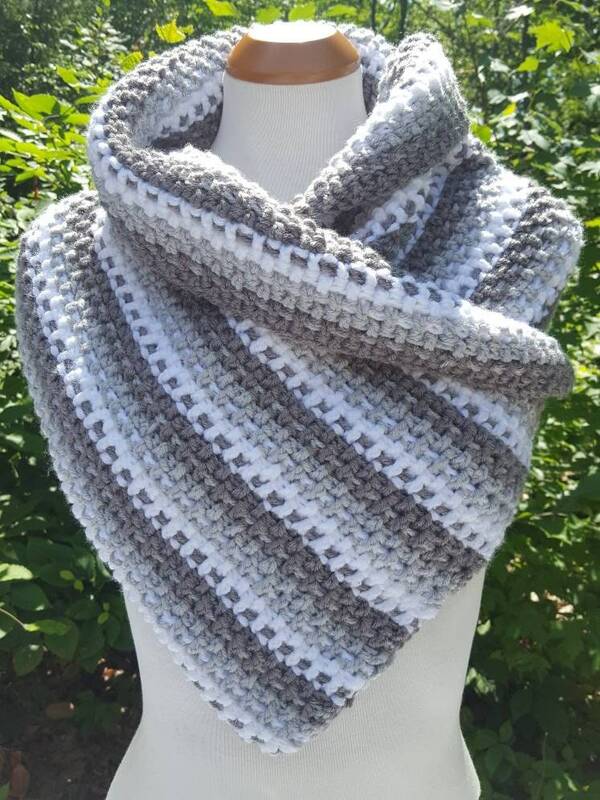 Love the style, but searching for another color? 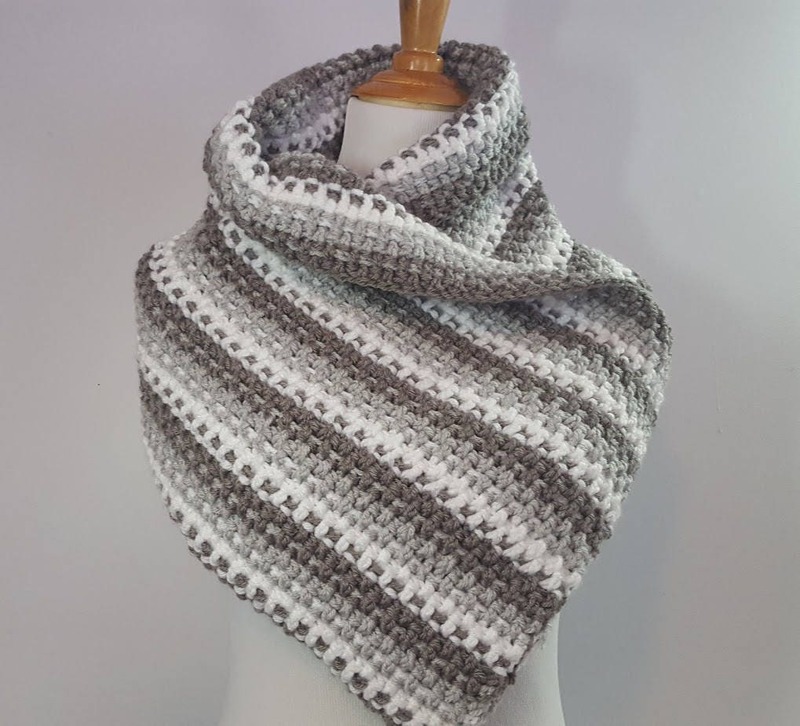 How about this beautiful mulberry and gray one?